This was Mercedes’ last race as a factory F1 team until 2010 and the drivers dominated, with Juan Manuel Fangio winning from Piero Taruffi. It was also to be the last race for F1’s first champion, Giuseppe Farina - although he didn’t get to start it when Ferrari withdrew his car following a tyre failure in practice. As Mario Andretti won for Lotus, Niki Lauda edged closer to his second world championship by finishing second, which also gave Ferrari the constructors’ title. Alan Jones went from 16th to third to give Shadow what would be its last podium, whilst this would prove to be the last GP entry for the BRM team. 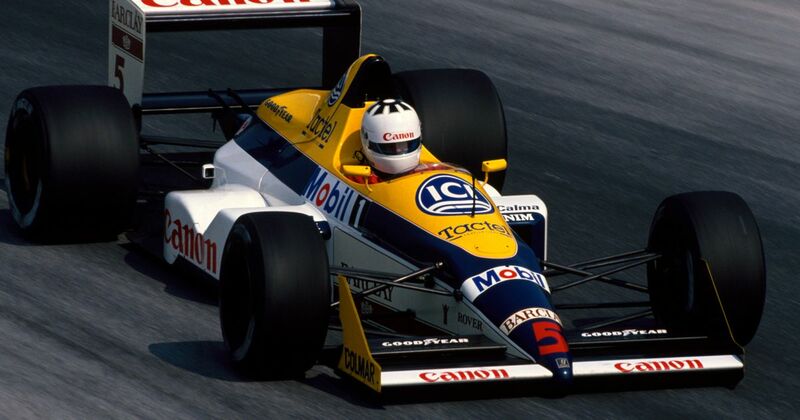 Nelson Piquet won comfortably after teammate and pole-sitter Riccardo Patrese retired with from the lead with engine failure on just the third lap. Proving that turbo power really was now the way to go, this was the first race since 1967 in which the venerable Cosworth DFV failed - the highest placed ‘atmo’ car being Jean-Pierre Jarier’s Ligier in ninth. Early in the race, Alain Prost realised his car had a misfire and that he wouldn’t be able to compete with teammate Ayrton Senna. Knowing he was unlikely to finish, Prost turned up his engine and pushed harder than usual, goading Senna to do the same. When Prost’s engine finally failed at two-thirds distance, Senna suddenly realised he needed to save fuel in order to make it to the end of the race. Gerhard Berger, now running second, closed the gap from 26 seconds to just five in 14 laps - and Senna was coming up to backmarkers. In an effort to lose as little time as possible, Senna went to go past the Williams of Jean-Louis Schlesser at the Rettifilio, only for Schlesser to lose control and collide with the McLaren. Senna was out in what was the only race McLaren didn’t win all season, and Berger delivered Ferrari the victory ahead of teammate Michele Alboreto. It wasn’t just a Ferrari one-two either, but a Ferrari one-two in the first race since the death of Enzo Ferrari. The whole thing made Schlesser (who was standing in for an ill Nigel Mansell) a hero of Italy. With Michael Schumacher serving a two-race ban for ignoring a penalty at the British Grand Prix, Damon Hill took a reasonably comfortable win ahead of Gerhard Berger. Jean Alesi had led the early stages after taking pole, but his typical bad luck intervened when he retired with gearbox failure on lap 15. Tiago Monteiro scored the final points finish for the Jordan team after an excellent drive to eighth place in tricky wet/dry conditions. Kimi Raikkonen won, whilst Juan Pablo Montoya was taken out of second place with just a few laps to go when he was hit whilst lapping Antonio Pizzonia. There was also an amusing moment when Takuma Sato crashed into Michael Schumacher, prompting the seven-times champion to give Sato a disciplinary tap on the helmet. Sebastian Vettel cruised to an easy win ahead of Jenson Button. Fernando Alonso made a mega start to go from fourth to first by the first corner but couldn’t hang on and slipped to third by the end of the race. Tomas Enge (born 1976) became the first F1 driver from the Czech Republic when he drove for Prost in the last three races of 2001. Antonio Pizzonia (born 1980) was on the fringes of F1 for a while. 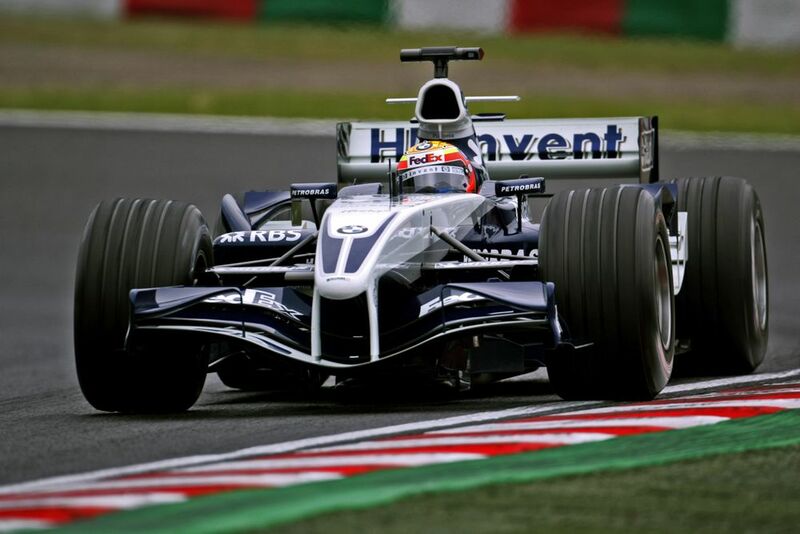 A Williams test driver, he drove half a season for Jaguar in 2003, and then ended up as a substitute driver at Williams - firstly for Ralf Schumacher in 2004, and then for Nick Heidfeld in 2005. During the 2004 Belgian GP he was in contention for a podium before retiring with gearbox failure, leaving his best F1 result as a quartet of seventh places.